No, I’m not talking about volunteering. I consider volunteering as an unselfish act that you do solely for the purpose of helping the other party, with nothing expected in return. It’s a way to humble your ego, use a skill you have, e.g. teaching, for a good cause. 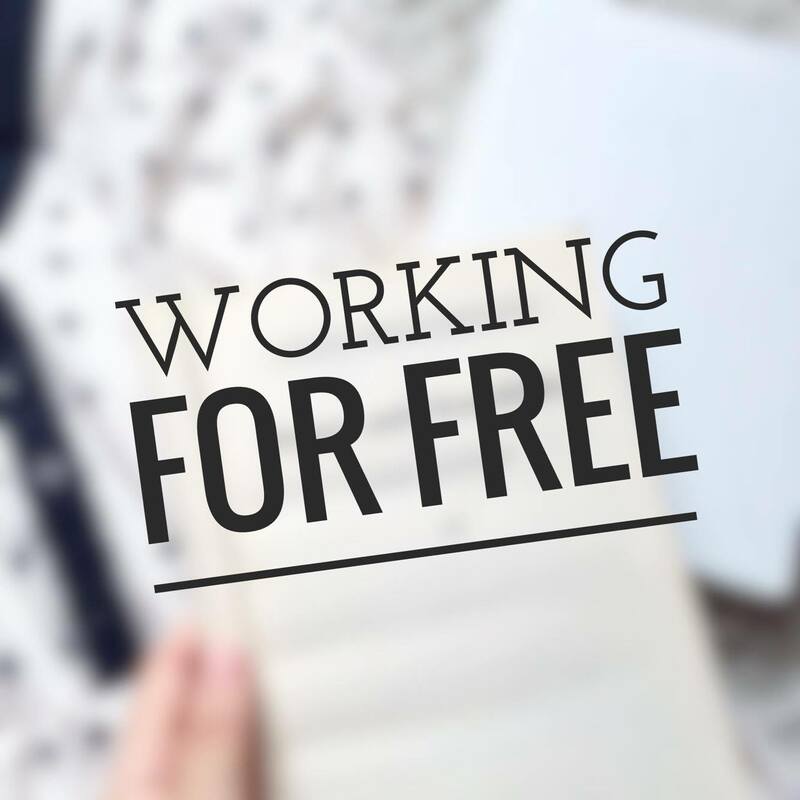 But in this post, I’m discussing specifically about working for free for a job that, in other circumstances or offers, you could have been paid. You hone your skills. Especially if you’re aiming to work in a creative field. If you’re a photographer, musician or artist, the key to your future success lies in how skilled you are once you are ready to enter the workforce. If you’re currently a student, it may be harder to get paid internships and/or actual jobs. Investing your time to do a freelance job or task that is related to your career will prepare you for when the real thing comes around. You gain experience. The best payment of working for free is experience. You will understand how your interest or career functions in the real world, get to know the types of people that work in this area, and build your CV. I play for an orchestra where those of legal age can have a contract in which they’re paid monthly. I decided earlier on that even when I became of legal age, I wouldn’t request to be paid, for various reasons. But I often think about what if I were paid. I think about how playing with the orchestra would become more of a duty than an artistic activity I enjoy doing. About how much would be deducted from my payment if I miss a rehearsal or performance. About how it might start to conceal the true purpose of me doing music. And that’s not a nice feeling. You get to know yourself more. If you’re thinking about working for free, chances are that you want to test out your interest before you delve into it full-time. You may already have a college degree in it, and you may feel accomplished enough to feel that you’re meant for the career, but, you never know. Doing a non-paid work will enable you to know whether that passion is truly your career passion, or just a hobby. You build connections. This, I believe, is probably the most sustaining and convincing reason to work for free. Regardless of what you’re working on, chances are that your client, coworker or boss has connections to other people that could prove to be fruitful in your future. You remove the money factor. I feel that the financial issue is the main reason why many work at an earlier age than they actually should. The idea of doing something for yourself and being rewarded by it in a physical form is appealing. But I feel that, oftentimes, it takes away all the joy and passion that you would have otherwise put into the activity. If you’re freelancing, your focus becomes on those clients that offer to pay you more. The more you’re paid, the more you delve your time into it. If you haven’t concluded your education yet (high school, college, etc.) you might even prioritize working over education. Because the reward is immediate. I’m in the transition of going to college. As I’m of legal age now, I could be part of the workforce already, and the idea of working and earning an income to sustain myself crosses my mind more often than I would like. I belong to the middle class, and my friends and acquaintances around my age are all either at school or at college. I’m not close to anyone who has dropped out of school and/or worked right after leaving school. But I also kind of part of the music world in the country, where the industry is not as developed. I know people my age working part-time in gigs to sustain themselves, while not performing as well on their education and/or career. It may not be practical for your situation. Linking to my previous argument about the money factor, the harsh reality is that not everyone has the luxury to work for free. They may need to sustain their family from an early, need the money for urgent purposes, save the money for college, etc. It would be demeaning to assume that everyone’s financial situation allows them to take this risk. It’s time-consuming. If it’s a freelance job, you’re likely to be able to control how much time you dedicate to the task at hand. If you get a job that you’re really excited about, I feel that it’s easy to fall into work and leave all your other priorities behind. Your job may provide you with worthy experience, but you have to make sure it doesn’t go out of hand. You may be taken advantage of. Because you’re working for free, you must have radiated yourself as an eager and opportunistic individual. This might enable you to get working requests that will surely make you happy, but you might also catch unwanted bait. As I have pretty much zero working experience whatsoever, this is only something that your intuition will guide you best. 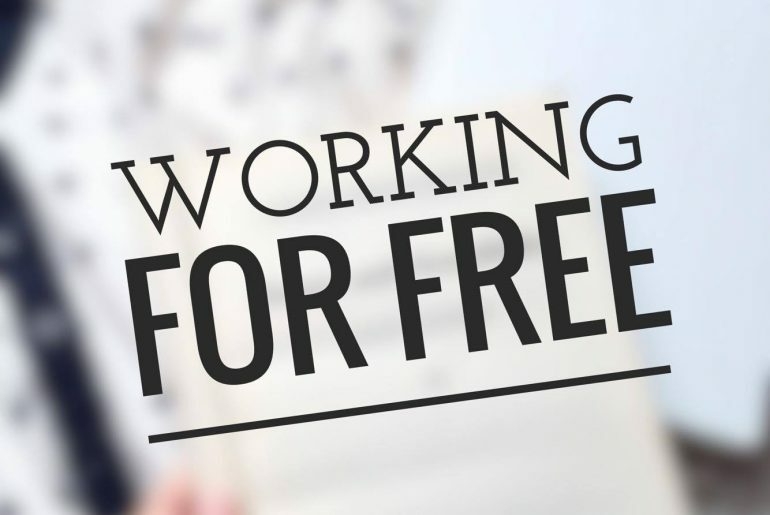 Have you ever worked for free, or would you ever work for free?